I don’t think I’ve ever interacted with anyone who’s read Setona Mizushiro’s After School Nightmare (Go! Comi) who hasn’t at least enjoyed it. The vast majority have loved it, which might explain why it’s been listed in the Top Ten of 2008’s Great Graphic Novels for Teens and why it was nominated for an Eisner Award in 2007. It’s just that good. So naturally, there must be great heaps of her work available in English, right? When you catch the scent of a special talent like Mizushiro, you trip over yourself to publish as much of her work as you can, don’t you? It’s the Yoshinaga Principle. 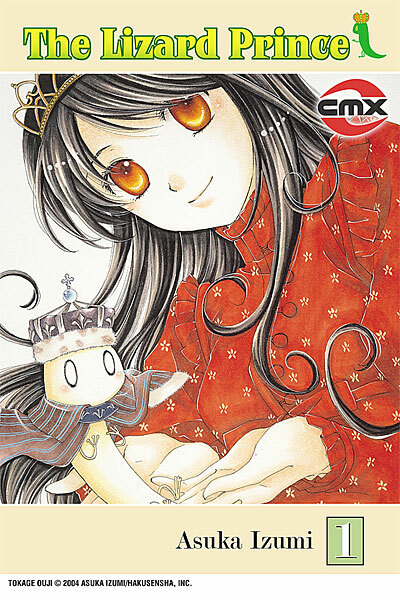 Unfortunately, there’s only one other work by Mizushiro in translation, the two-volume X-Day (Tokyopop), which is good. It’s not as good as After School Nightmare, but not much is, and it’s short, so why complain? Just be forewarned that it isn’t the pulse-pounding thriller you might expect. It’s more of an encounter group for the disturbed, and the disturbed are something of a specialty for Mizushiro. And that’s the big reason I’d like for more of her work to be available in English. 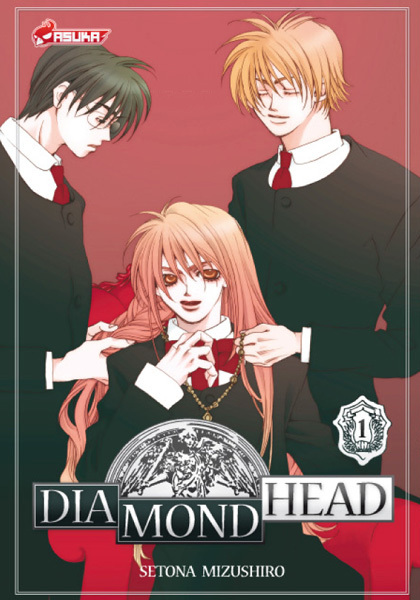 Casting my eyes over the Atlantic, I see a likely candidate called Diamond Head, originally published by Shogakukan and released in French by Asuka. What’s it about? Why, it’s about a high school with a twisted social structure, naturally enough. This is Mizushiro. 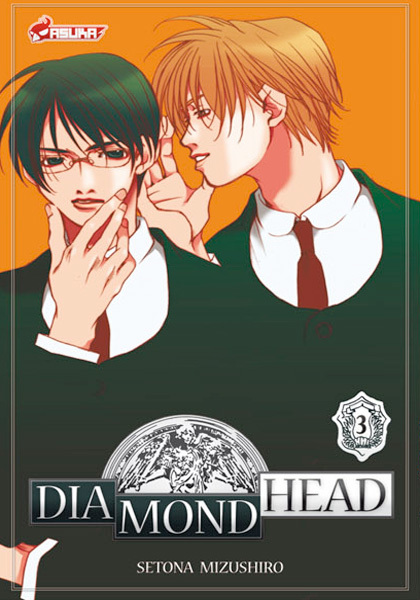 The protagonist, Nanao, transfers to a Catholic school and is quickly invited to join the club that serves as a sort of student court, resolving disputes between co-eds. The club consists largely of hot guys, including an androgynous one, so naturally lots of Nanao’s female classmates hate her for catching the eye of their princes. 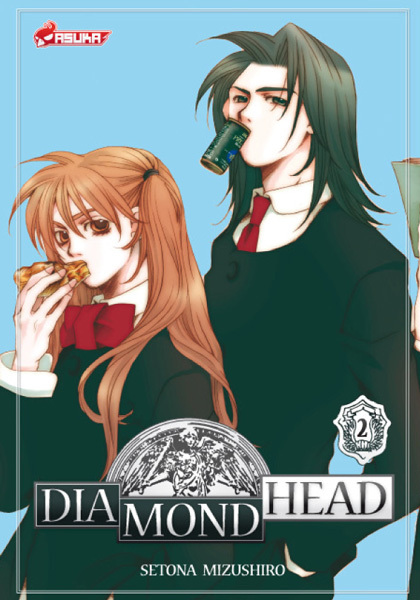 As Nanao reluctantly becomes involved with this cafeteria-based court of last resort, she becomes romantically entangled with her fellow judges. So basically we have a messed-up school culture, complex romantic geometry, and just enough gender-bending to keep things unpredictable, plus drama, drama, drama. In other words, we apparently have all the things that make Mizushiro manga this close to a controlled substance. Viz? Would you be so kind? … because it’s funny and adorable. You are currently browsing the The Manga Curmudgeon blog archives for the day Friday, January 8th, 2010.